Head coach Jim Mora talks about the running back competition, playing in College Station and Texas A&M. Running back Soso Jamabo talks about going back to Texas, competing with the other running backs and working with running backs coach/offensive coordinator Kennedy Polamalu. Receiver Ishmael Adams talks about how comfort level at his new position, what his pitch for the No. 1 jersey would be and what the new game jerseys are like. Tight end Nate Iese talks about refining his catching ability, working with the other tight ends and developing as a blocker. 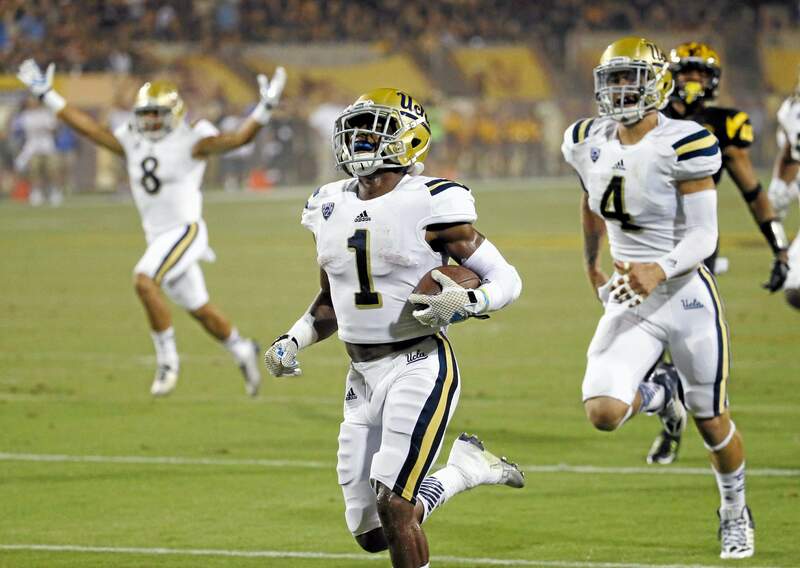 UCLA defensive-back-turned-wide-receiver Ishmael Adams was named to the watch list for the Paul Hornung Award on Thursday. The award honors the most versatile player in the nation. The senior is expected to make a full-time switch to wide receiver after playing at defensive back while also returning punts and kickoffs. Quarterback Josh Rosen was named to the watch list for the Walter Camp Player of the Year. 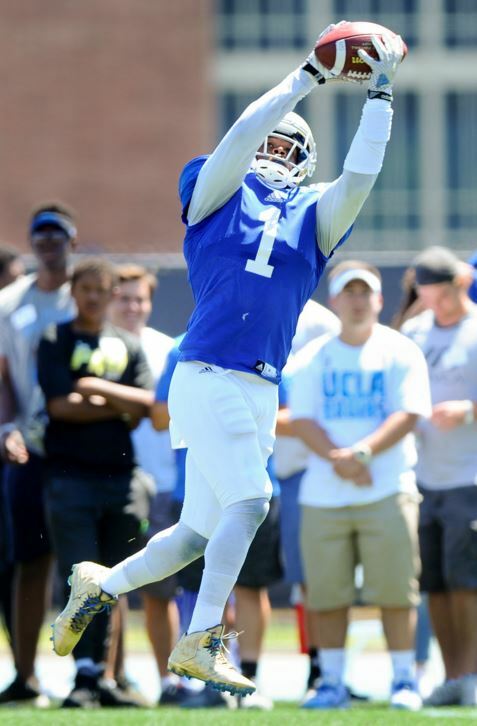 On Tuesday’s Pac-12 coaches conference call, UCLA head coach Jim Mora said Ishmael Adams could be staying at receiver for the long haul after a stellar spring camp. Mora added that Adams could move back “if needed” as the team searches for ways to always get its best players on the field. Mora praised Adams’ development as a route runner, calling the cornerback-turned-receiver a “gym rat” who studies film with receivers coach Eric Yarber constantly.